Google+ integration sounds awesome; the only problem is it doesn't actually work right now. 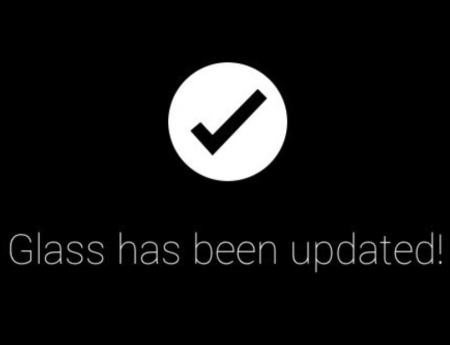 We're not sure if we're awaiting a MyGlass update, or if Google needs to do something server side, or what - right now though, it just doesn't work. Update: Google+ integration is now up and running! This is amazing. 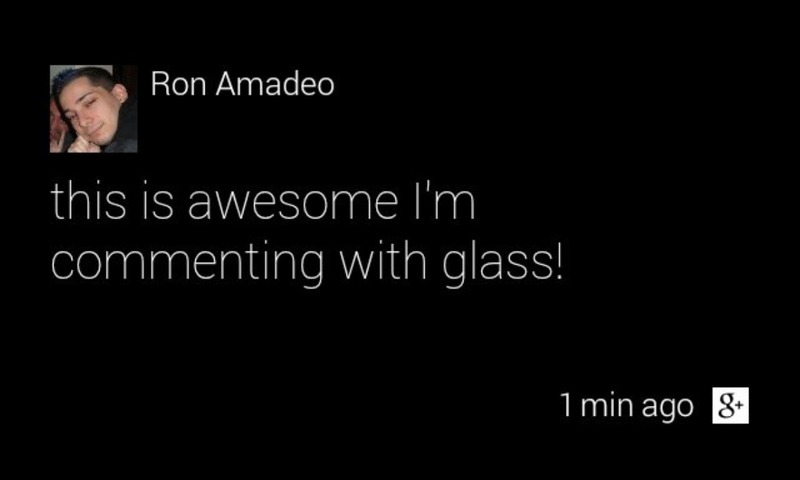 Glass now beams Google+ directly to your eyeball. 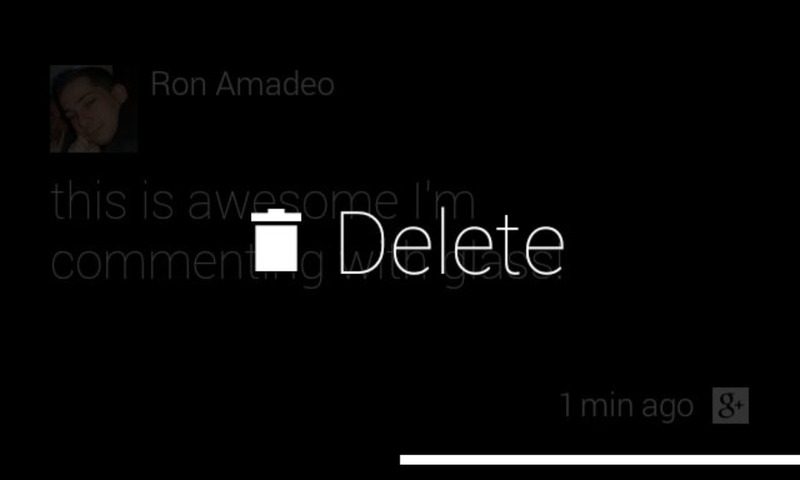 It shows profile pictures, the message and pluses and comments. You can comment on a post with voice recognition, or delete your own comments. 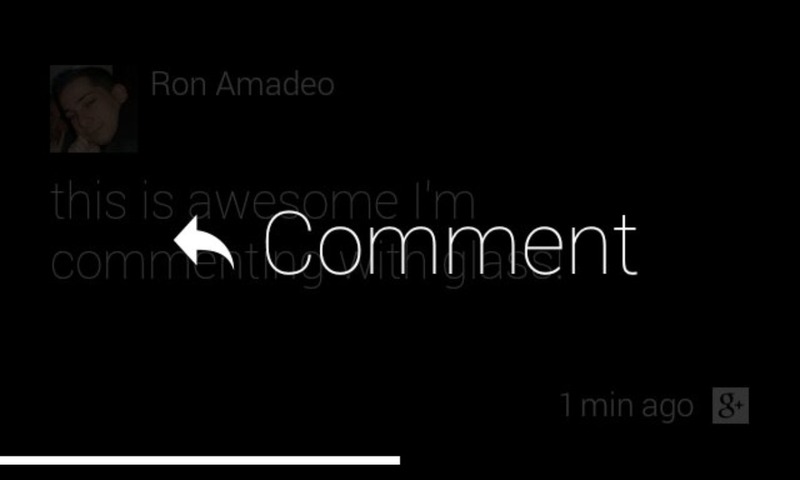 Tapping on incoming comments will allow you to +1 them. 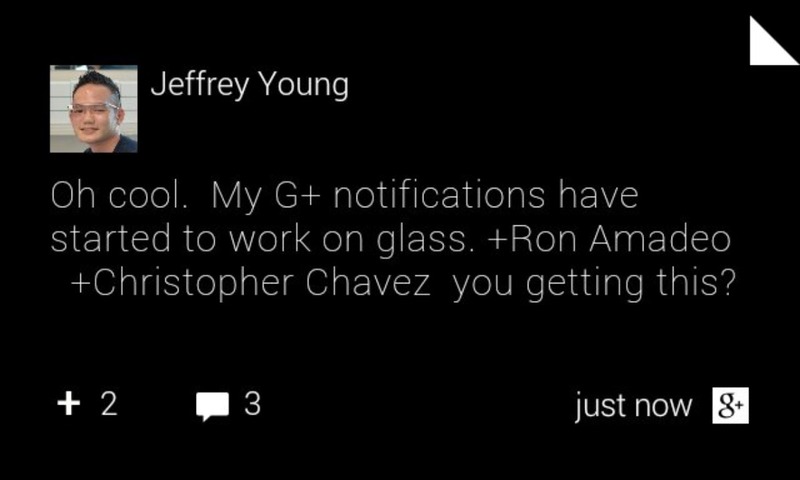 Note that you still can't view a G+ stream or profile page, just interact with incoming notifications. 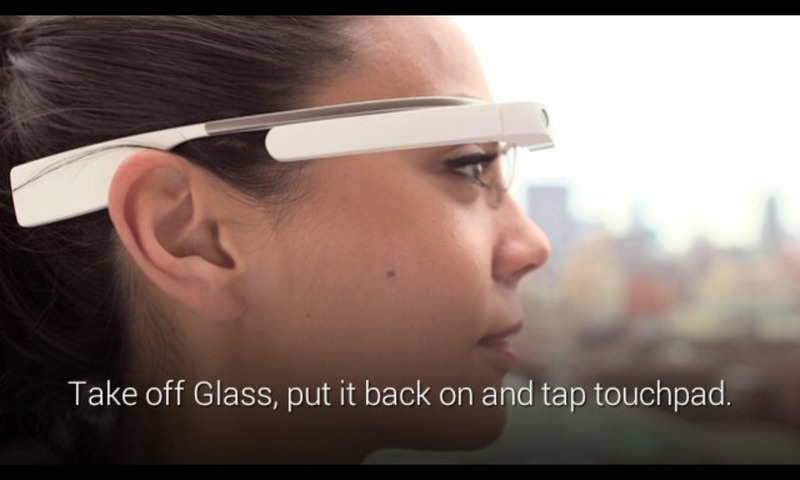 Still, Glass just got a whole lot more useful. G+ is a major news source for me, and now I'm going to have ridiculous response times. Everything else on this list seems pretty accurate. Hangout notifications works just like they do on a phone now. 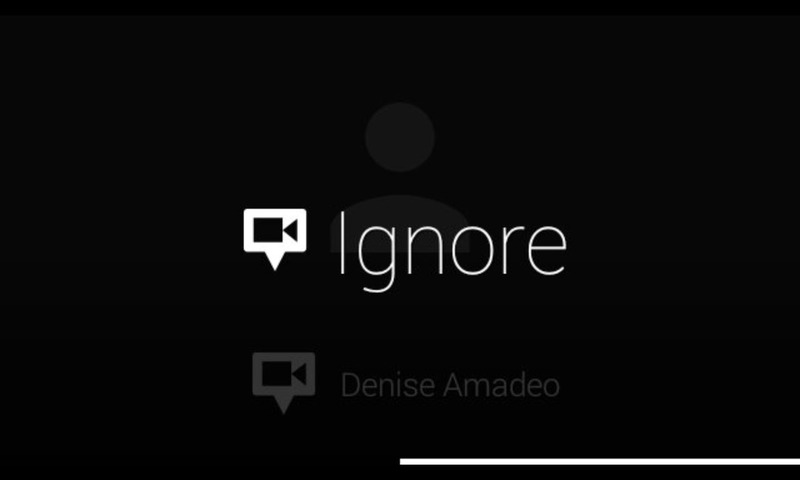 If Glass is off, it will turn on, show the screen on the left, and start playing the hangout ringtone. Tapping on it lets you answer or ignore it. 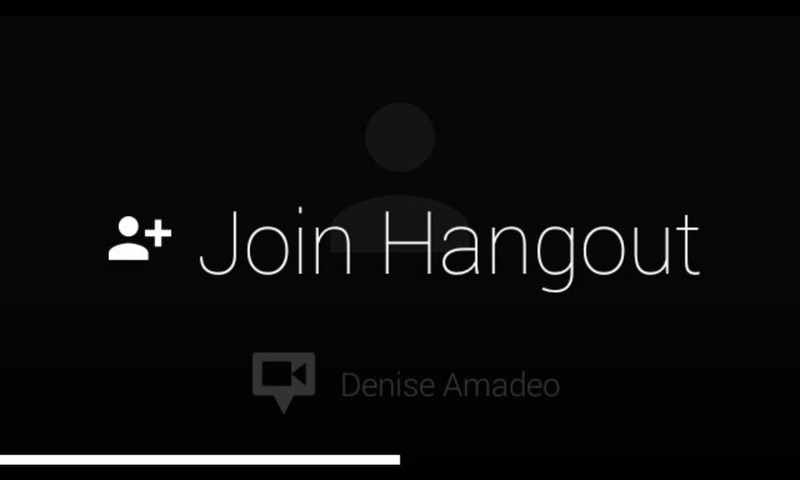 Before you could only start hangouts, now you can be invited to them. 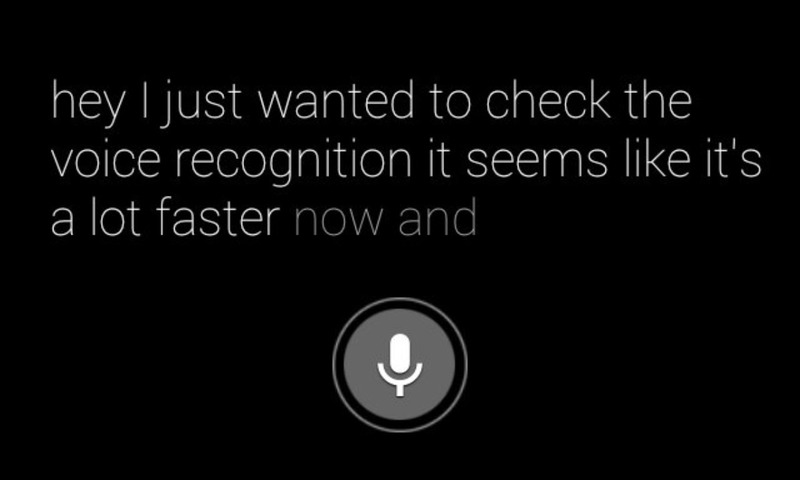 Voice recognition is actually faster now, which, if you saw the video from my initial impressions post, seems almost impossible. 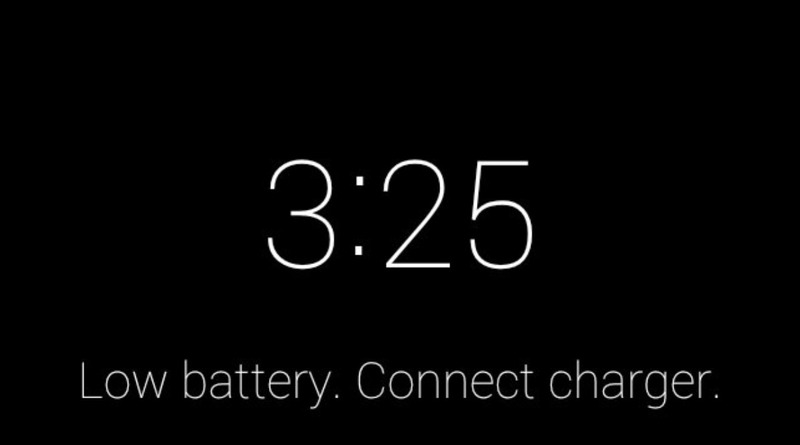 This feels significantly more advanced than what's on Android right now. 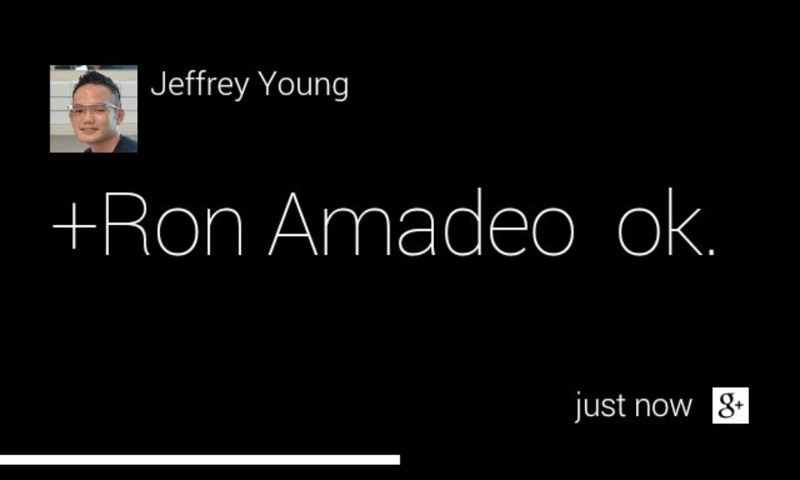 The text has a cool new highlight feature; words that Glass is still processing show up in a lighter color, and are subject to change. Maybe this is based on sentence context? 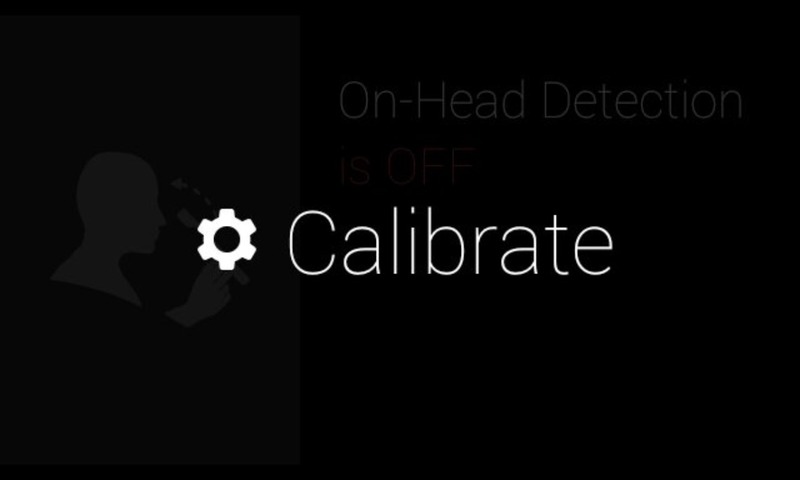 Here's the new head detection calibration screen. In XE4, Glass would just calibrate on your face, but now you have to take Glass off and put it back on. 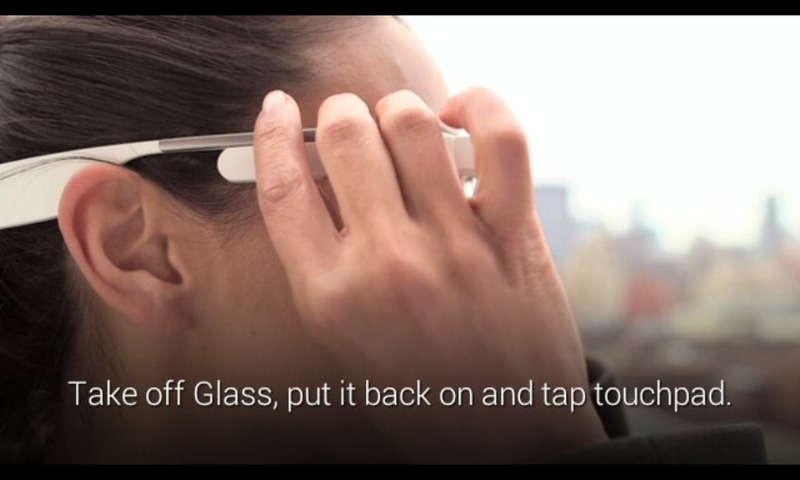 Glass pops up with a nicely produced video showing you how to do that. 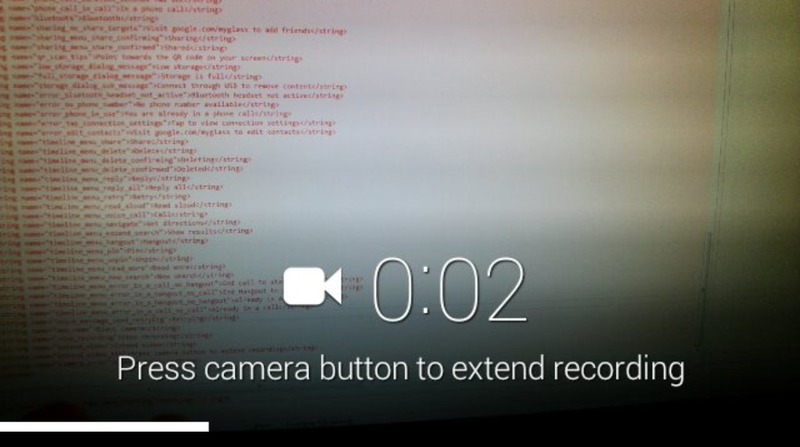 Something I've noticed that isn't on the change log is the new video recording screen. 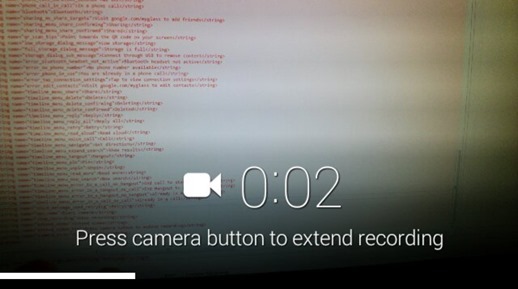 You can now press the camera button during a video recording to extend it, and Google added a helpful tip about it while recording. Before you had to tap on the touchpad and tap again on "extend video." I wish there was a way to turn off the video time limit entirely. 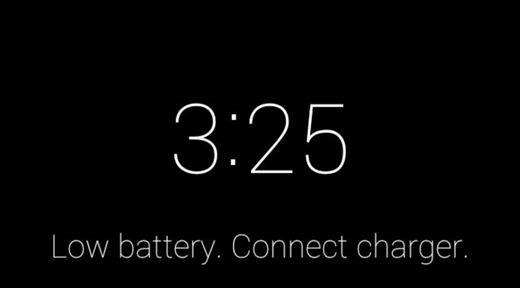 In an effort to preserve battery, Instant Upload is no longer instant. That's terrible. You now have to plug in Glass now to get it to sync your pictures, which makes it feel like an iPhone from 2005. 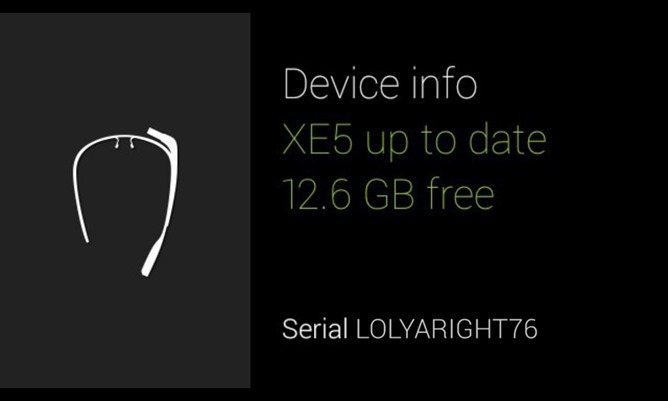 Glass also now alerts you when the battery is low by changing the "ok glass" text to a low battery message. 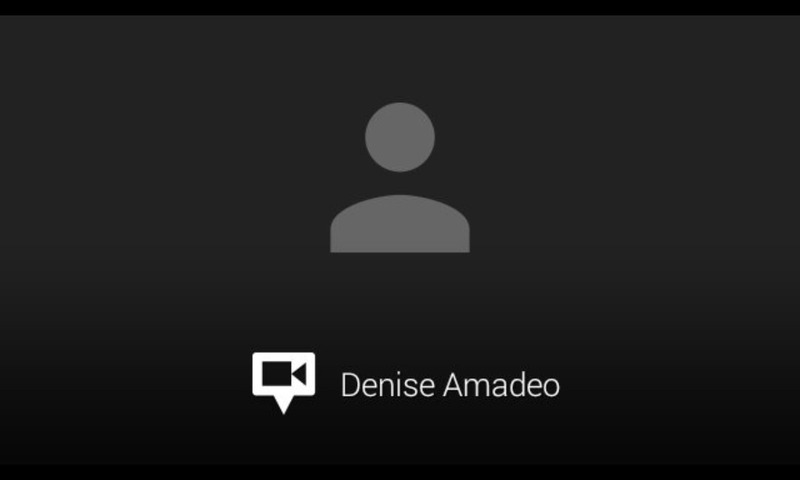 "New recipient-list mosaic" is Glass-Team-speak for a new Google+ sharing contact layout. "Public" is now last, behind all of your Google+ contacts that you've added to the device. If you're like me and mostly do public sharing, this is also annoying. 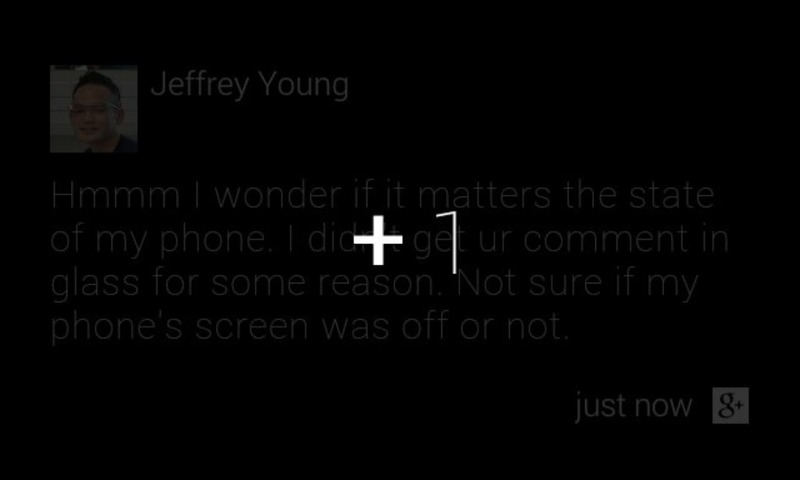 It should just remember what you normally do, like the G+ Android app does. I'd show you crash reporting, but mine hasn't crashed yet. That's a good thing. I'm watching you, Glass Team.